We liked the fact the room had been renovated. The host was very pleasant and close to everything. It was ok for a night, staff very nice....walls are too thin, you can hear everything if your neighbors are not considerate. Where to find Fort Coulonge hotels near an airport? Where can I find hotels in Fort Coulonge that are near tourist attractions? 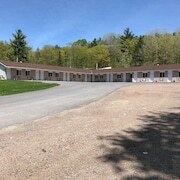 Looking to find a room in Outaouais, specifically in Fort Coulonge? Fort Coulonge offers 2 quality short-stay and long-stay options within a 0.1-kilometre (0.06-mile) radius of its central area. 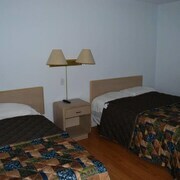 Looking for a hotel a short walk from the center of Fort Coulonge? 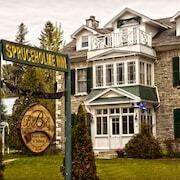 Spruceholme Inn and Motel du Vieux Pont will fit the bill. 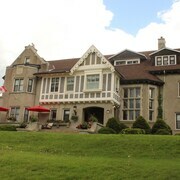 The Auberge du Village Shawville can be found 30 kilometres (20 miles) from the main part of Fort Coulonge. 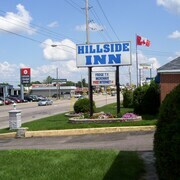 Another option is the Motel Bryson, which is situated 20 kilometres (14 miles) away. Other hotel and apartment options in this area include the Wilderness Tours Rafting Resort and the The Farm House at WW Brewery. Wakefield is 65 kilometres (41 miles) to the east of Fort Coulonge and is where you'll find Maclaren Cemetery and MacLaren Mill. Some of our recommended Wakefield accommodation options include the Moulin Wakefield Mill Hotel & Spa and Auberge De Mon Petit Chum B&B. Or, you could consider staying in Gatineau, 95 kilometres (58 miles) to the southeast of Fort Coulonge, where you can pick from the Comfort Inn Gatineau and Hotel V. While in Gatineau, a couple of places to add to your itinerary are the Canadian Museum of History and Casino du Lac Leamy. Before you leave Outaouais, make sure you experience some sport. Visit Canadian Tire Centre to the southeast of Fort Coulonge. For travelers who are interested in booking a bed nearby, make a reservation in the Holiday Inn Hotel & Suites Ottawa Kanata or Fairfield Inn & Suites by Marriott Ottawa Kanata. If you are traveling into or out of Macdonald-Cartier International Airport and plan to stay nearby try Days Inn Ottawa Airport or Holiday Inn Express Hotel & Suites Ottawa Airport. What are the most popular Fort Coulonge hotels? Are there hotels in other cities near Fort Coulonge? 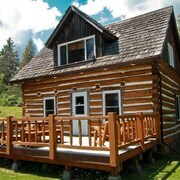 What other types of accommodations are available in Fort Coulonge? Explore Fort Coulonge with Expedia.ca’s Travel Guides to find the best flights, cars, holiday packages and more!